At the end of a long, hard day, it can be difficult to keep up with the endless energy of our children. I always want to spend quality time with my daughter, but some days, I just don't have it in me to run, jump and bound around like she'd like us to. So how do you maximize quality time on a minimal amount of energy? My husband and I fire up the popcorn popper and snug in to a great family flick! This way, we can laugh and talk about the characters and story line together, all from the comfort of our couch. If you're in the same boat and are looking for fun ways to entertain your family when the energy levels wane, be sure to check out the latest family-friendly offerings from Phase 4 Films. 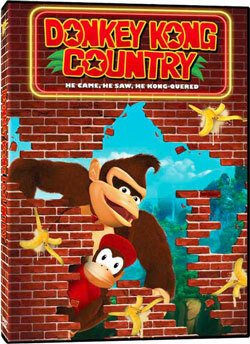 I reviewed Donkey Kong Country DVD from Phase 4 Films, found exclusively at Walmart for $6.96. Donkey Kong was one of my first arcade loves as a kid. Actually, I can still be caught saying, "It's on like a Donkey Kong" every now and again, even though my 4-year-old has no idea who Donkey Kong and Donkey Kong Junior are. With the Donkey Kong Country movie from Phase 4 Films, you can introduce the younger generations to all of the lovable characters you remember growing up. Since my daughter absolutely loves monkeys, I had a feeling this film would be a hit for the entire family. Donkey Kong Country is a CGI animated movie with a running time of 90 minutes. 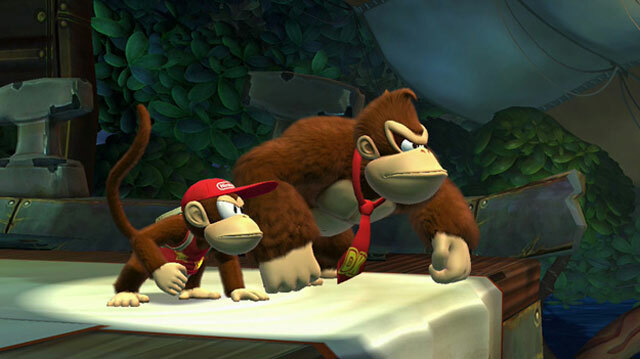 The cartoon series, based on the popular video game, brings all of the characters like Donkey Kong and Diddy Kong to life. The plot of this DVD combines evil robots, crystal coconuts, hexes, antidotes and superhuman strength together to create one nail-biting good time. My daughter definitely seemed to enjoy the Donkey Kong Country story line and now she'll have something to reference the next time she sees mommy feverishly playing this cartridge on our home video gaming system. She laughed and smiled throughout the entire movie and especially loved booing King K. Rool just as loud as she possibly could! Of course, my husband and I also enjoyed the movie, based on lovable characters we actually grew up with. If you're looking for a fun-filled way to while away a few hours indoors, be sure to snuggle up with your family and enjoy Donkey Kong Country from Phase 4 Films! 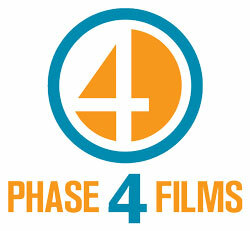 Disclosure: As a Phase 4 Films Blogger Ambassador, I have received products and compensation from Phase 4 Films in order to facilitate and thank me for my review. However, as always, all thoughts and opinions expressed are honest and my own.